Our Community Supported Bakery is in the News! 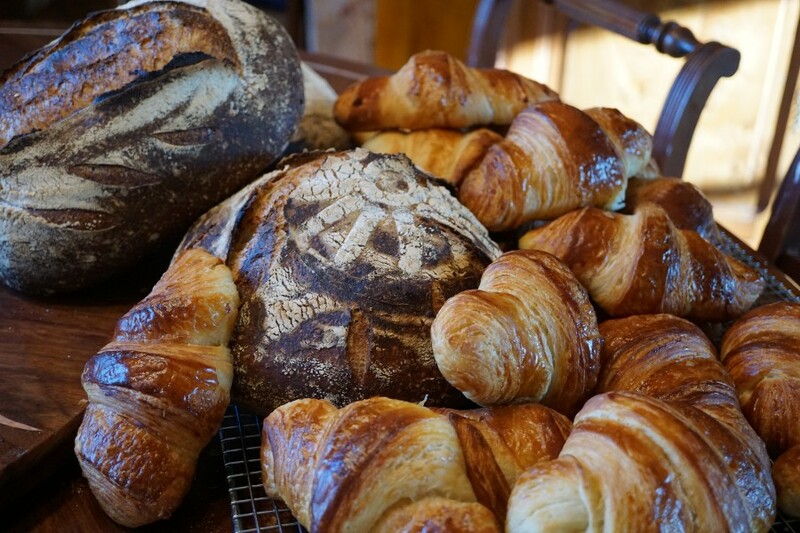 A Community Supported Bakery provides you with the opportunity to try many different styles of breads, all made with locally-sourced ingredients of the highest quality. For $7 a loaf ($126 total), each week we will bake you a loaf of our amazing artisan bread using our signature Kentucky Proud, Louismill products. All of our bakery loaves will be made using a slow fermentation, which gives the bread improved digestibility and nutritional content. These loaves will showcase a variety of flavors and wheats including rye, kamut, and our Turkey Red Heritage wheat. Each loaf with be approximately one-and-a-half pounds. If you are interested in seeing more of our Louismill breads and flours, please visit the Louismill website. If you are afraid that you will be out of town, you can designate a pickup person. You can even designate a neighbor and surprise them with fresh bread. Tom Edwards is a Miller, Baker and Pizza Maker for MozzaPi Louisville. He holds numerous certification as a pizzaiolo from Verace Pizza Napoletana and Scuola Italiana Pizzaioli. He is a world-renowned artisan baker and has led Artisan Bread Pizza Classes in the US and Europe. Our Community Supported Bakery is Highlighted Again!